This blog is part of a series focused on USAID’s innovative approach to reaching Millennium Development Goal #2: Achieve universal primary education. The theme “Room to Learn” highlights programs and priority countries where access to education is now a reality. Increasing access to primary education in developing countries. Reaching the nearly 61 million still out-of-school children and getting as many of them as we can into safe learning environments. Improving the quality of education by making sure that children are not only in school, but also that they are learning. And just 1,000 days to get it done. The best part of this challenge is that I join a committed team of experienced and passionate USAID education and foreign-service professionals who have already spent the past two years creating a focused strategy which includes access to education but also quality and accountability. We are led by a visionary, Administrator Rajiv Shah, who is determined to produce results we can measure. Thus, the big numbers. The numbers, while hard to compile in countries subject to coups, civil wars, earthquakes, drought and corruption, are important in creating a report card for Americans who want to help but who also want quantifiable results. The numbers are important because they will help us to do “good” well. Even more important, I recognize that USAID is just one organization in the global community committed to literacy and learning. What an opportunity to join this growing collection of education champions! Last weekend someone asked what I’d learned from two weeks of briefings that I found most valuable. First, I am convinced of the commitment of my colleagues and I learned that we are not without partners worldwide who are also resolute about literacy. More surprising and not without irony, this language arts and journalism teacher learned that reaching our millennium goals is partly about getting the numbers right. Sixty-one million children still don’t have access to basic primary education. I talk with folks on Main Street who wonder why it matters if a child in Africa knows how to read. For every child or youth who has room to learn—a safe place to learn and a trained teacher—the world will be a safer, more productive place for all of us. I’m going to do everything in my power to tell the USAID education story to anyone who will listen—elected officials, other public servants, business leaders, those supporting non-profits, civic organizations, and faith-based organizations, the wider education community at home and abroad, my family, my hairdresser, the person sitting next to me at dinner and on the Metro. I’m going to ask all of them and you, to help us, or at least, to support our efforts. The children who learn to read in Afghanistan, the teachers who learn to teach reading in South Sudan, the ministers of education who have data to show results in Pakistan, Haiti and Nigeria, the parents who will learn to demand quality as well as access in the Democratic Republic of Congo, over time will help knit the fabric of an education system that underpins every strong democracy. Those children will become teachers, start businesses, engage in trade, heal the sick, build roads, write novels and make scientific discoveries. One thousand days to reach MDG2. There’s no time to lose. Let’s get busy. Learn more about all the Millennium Development Goals and share with your friends! 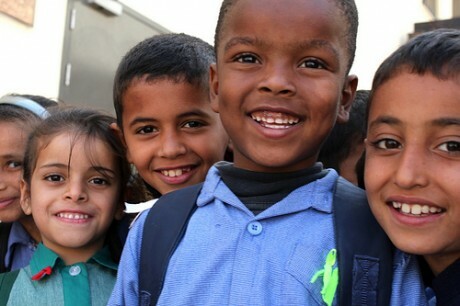 Like USAID Education on Facebook! The Post 2015 should emphasize inclusiveness in its implementation. Local Populations must be involved and engaged in its implementation.